NCP Alcohols achieves two Grand Gold Quality Awards for their products, Ethanol and Lights Spirits, entered into the 2019 Monde Selection International Quality Institute’s World Quality Selection. This exceptional and continued excellent achievement is due recognition to the operations and quality teams of NCP Alcohols for their dedication and commitment to maintaining the high standards and expectations that have become our own benchmark. 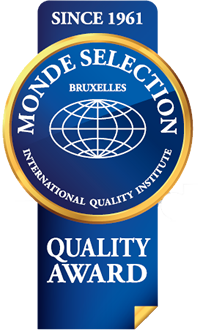 The Monde Selection International Quality Awards have been in existence since 1961 and NCPA have been receiving either Gold or Grand Gold for the past 50 years since first entering the awards in 1969. During the adjudication, each jury member's score is added up and averaged to a result which corresponds to a bronze, silver, gold or grand gold award. The prestigious Grand Gold Quality Award is for products having obtained an averaged result above 90%.